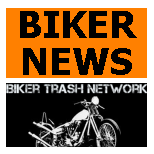 LEESBURG, FL (May 24, 2017) — Motorcyclist David “Gutter” Donovan, in town for the Leesburg Bikefest, went to a Circle K gas station to buy cigarettes, but when he walked out he had a knife to his throat, arrest reports released Wednesday show. The Outlaws MC members reportedly forced him to kneel down and then shot Donovan several times in the back April 29 after he refused to take off his Kingsmen Motorcycle Club jacket, the report said. Donovan, 41, died two weeks later. “The ‘Outlaws’ had been challenging several motorcycle clubs throughout Florida to either join their ranks or submit to their authority,” according to a report that sheds light on the shooting. In what police called a coordinated attack, a group of about 15 Outlaws spread out “at strategic points” at the Circle K at 3300 W. Main St., about three miles from where Bikefest was held in downtown Leesburg. Then they told several Kingsmen MC members to strip off their “cut,” meaning their cut-off vests and club insignia. Two suspects were arrested last week in a multi-agency operation. Marc “Knott Head” Knotts, 48, and Jesus Alberto Marrero, 35, were charged with conspiracy to commit murder and kidnapping. Two other suspects, identified as Gregory “Stinky” Umphress, 32, and Miquel Angel Torres, 37, remain at large. Police also are looking for the shooter, who has not been identified. “The investigation is ongoing, and updates will be provided when and if they become available,” Leesburg police Lt. Joe Iozzi said. Members of the two clubs immediately recognized one another at the Circle K that Saturday night, according to police interviews with Kingsmen MC members. But the bikers told police they didn’t feel in danger because they weren’t affiliated with any of the Outlaws’ rivals and went inside Circle K to buy cigarettes. The Outlaws then gathered briefly in a circle before spreading out “in what appeared to be an orchestrated and deliberate manner to secure the perimeter,” sending a small group after the Kingsmen members inside the Circle K, according to investigators’ review of surveillance footage. Police said Outlaws members told Kingsmen members to surrender their insignia, put a knife to Donovan’s throat and directed him to the outside corner of the business below a mounted security camera. It’s a spot that police believe was “pre-selected” by the Outlaws to conceal the incident. When Donovan refused to take off his jacket, citing club loyalty, Knotts told the Outlaws to “shoot that mother-fu**er, the report said. The other Kingsmen ran inside the convenience store and hid behind a shelf, telling the store clerk to call 911, the report said. One member told police he opened the door and shot in the direction of the Outlaws, leaving Knotts with a bullet wound in the shoulder and thigh. Another bullet was prevented from penetrating his lower back due to Kevlar attached to his riding vest. 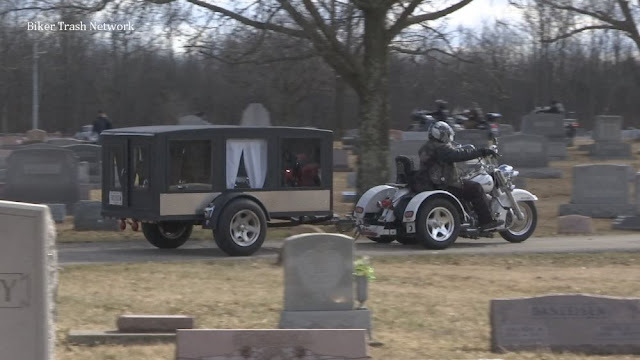 In a review of the surveillance footage, police said Outlaws appeared to be unhurried while making their escape on their motorcycles. “Some members remained in place in what is perceived as a measure of security of high-ranking members making their escape,” the report said. Knotts was found lying beside his Harley Davidson 110 feet from Donovan with a .22-caliber pistol. He was flown to a hospital and later recovered from his wounds. 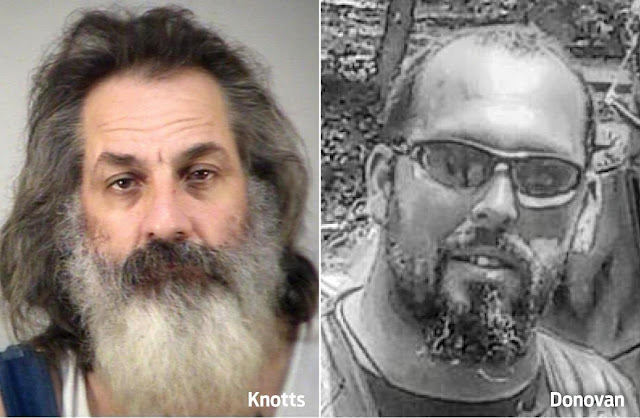 On May 17, Knotts was arrested outside the Outlaws’ clubhouse in Ocala. A Leesburg detective met with Knotts at the perimeter of the clubhouse, which is fortified with walls and surveillance cameras, Iozzi said. He asked the detective for “10 minutes to make a phone call, put boots on,” and soon after surrendered himself, Iozzi said. Transcripts of the 911 calls and the store’s surveillance video can’t be released because the investigation is ongoing, police said.